“It’s just useful when we see today the narrative of conflict to remember that it was actually possible for faiths to coexist quite remarkably,” said Gerard Russell, referring to Baghdad in c. 800 C.E. 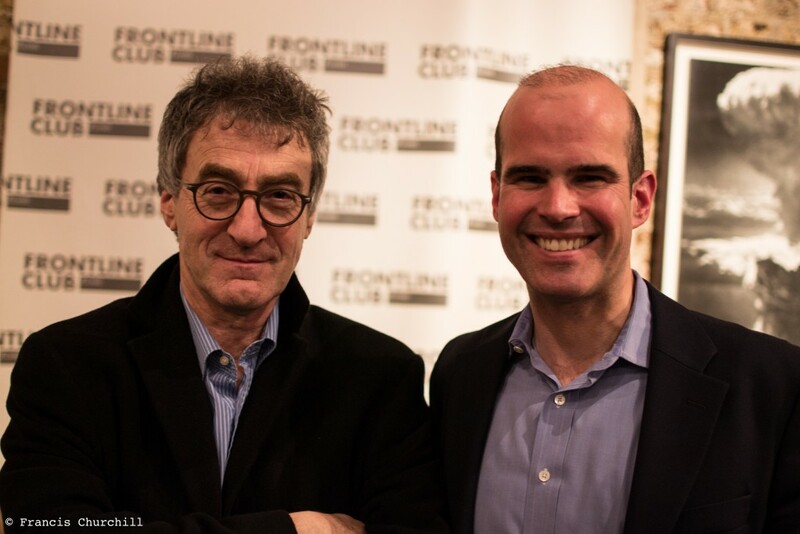 On Tuesday 13 February, the former United Nations and British diplomat joined an audience at the Frontline Club to share insights from his latest book, Heirs to Forgotten Kingdoms. 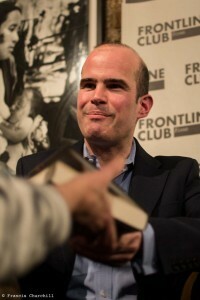 Ian Black, Middle East editor at The Guardian, chaired the evening. In light of current events, namely the rise of Islamic State, the ongoing attacks by Boko Haram in Nigeria and continued religious repression in Iran and elsewhere, the night’s reflection on the history of Islam was a reminder that coexistence was once the norm in the Middle East. “Islam, certainly in its early centuries, provided an environment in which a multitude of ideas could exist and be expressed… even, frankly, insults to Islam,” said Russell. Russell also reminded the audience that religious tolerance was not exclusive to the ancient world, picking out the examples of Abd Al-Karim Qasim, the Iraqi nationalist of the 1950s with mixed Sunni and Shia heritage, and Egypt’s three Christian Prime Ministers between 1860 and 1930. “People were falling over backwards really to be, in those days, trying to keep the nation together and not seeing things necessarily through the prism of religion but sometimes through the prism of common citizenship… I’d like to think that is an aberration. A change that will change back,” he said. As well as looking into the past, Russell talked extensively about the situations of the dying religions of the Middle East. The Druze, the Samaritans and the Yazidis, to name a few, all face their own challenges – be it threats of repression or destruction from the outside, or struggles to propagate their religion and beliefs in their younger generations. “The Yazidis are doing their best with the internet,” explained Russell, “… they’ve got all these different casts and rules about who they marry. It’s very tough for the men as well as for the women and they are using the internet to try and link themselves up with each other”. In many of these communities, a lot of old traditions are dying out because of similar problems. However, while the Yazidis are much more tolerant than many of the groups which Russell has studied, intermarriage is still punished. Another real problem that these communities are facing is that their isolation, which once protected them, is fast disappearing. Russell said: “Frankly the wrong kind of people are getting to hear of the existence of philosophies and religions that they don’t like.” He worried that the publication of his book could endanger the people it was written about. This being said, based on lessons of the past Russell was confident and hopeful about the future of the region. 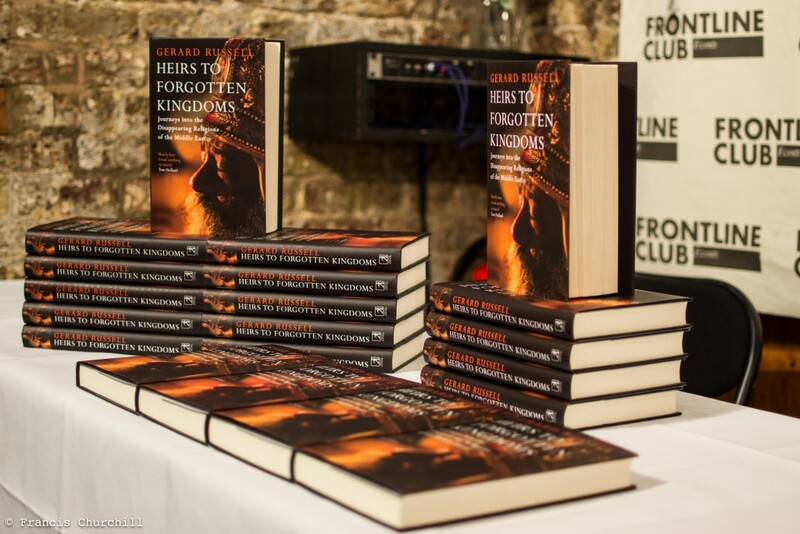 Copies of Heirs to Forgotten Kingdoms for sale at the Frontline Club, available online here.